Transdev has effectively and efficiently operated the Nassau Inter-County Express (NICE) service in Nassau County, NY, since 2012. Born from one of the first public-private transportation partnerships in the U.S., NICE maintains a sterling track record because of the Transdev team’s commitment to customer-centric decision making and responsiveness to rider needs and concerns. As part of this service, NICE operates the Able-Ride paratransit service. 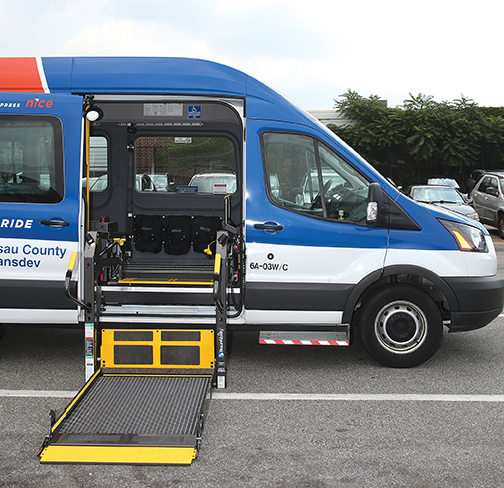 With 1.4 million residents in Nassau County, Able-Ride provides approximately 1,400 rides per day. It serves 285 square miles of service area with a mixed fleet of 110 vehicles. 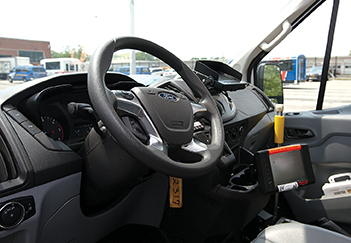 Concerns stemmed from the truck chassis of the aging current fleet, which were translating to rougher, truck-like rides for paratransit customers. “We needed a solution which was much more flexible than the then-current fleet,” Khzouz says. TransitWorks began in 1997 as the manufacturer of commercial vans for MobilityWorks, an accessibility solutions provider from Akron, OH. 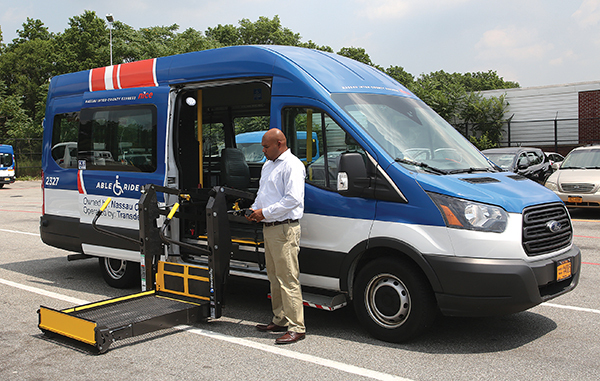 In 2014, TransitWorks was established as a separate manufacturing and sales entity to build accessible mobility vans and shuttles at their facilities in Ohio and Kansas. 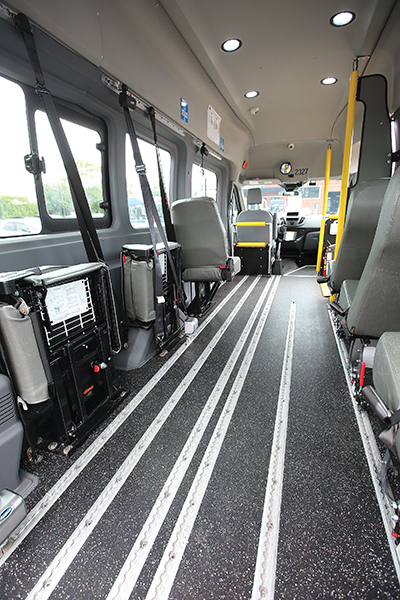 Built on the Ford Transit commercial van, TransitWorks’ signature vehicle for NICE features a custom walk-in entry at the front passenger door, wheelchair lift from BraunAbility and the patented SmartFloor by AMF-Bruns. The SmartFloor allows operators to slide (and not lift) the vehicle’s Freedman seats into different configurations – providing room for up to 15 passengers, depending on an agency’s needs. In 2015, NICE sent out a Information for Bid (IFB) for 34 vehicles which they ultimately awarded to Creative Bus Sales Company, with TransitWorks as upfitter. The AMF-Bruns SmartFloor exclusively from TransitWorks allows agencies to easily switch between multiple seat configurations. Bollinger himself drove a prototype vehicle to New York for a thorough NICE review, before deliveries were to be completed. After keeping the vehicle for a brief review process and New York State Department of Transportation (NYSDOT) inspection, NICE had a few notes for the manufacturer. TransitWorks readily accepted them and got to work. TransitWorks completed deliveries in September 2016, and thus far feedback has been positive – from the NICE team, as well as the local community. More than anything, the new vehicles provide reliability, an understandable platform and easy serviceability to NICE. According to Khzouz, with NICE providing 1,400 paratransit rides per day, the TransitWorks platform’s reliability can’t be understated. Khzouz says that NICE technicians have found the vehicles to be easily serviced without too much additional training required. The platform is relatively simple and straightforward, and he says support from TransitWorks has been exceptional. Most importantly, Khzouz says the vehicle’s less prominent (but no less important) features meet and exceed the agency’s stringent safety requirements. Khzouz says newer innovations – like non-skid commercial-grade flooring, a more robust wheelchair lift, increased driver visibility and expanded interior height for standing room clearance – are exactly what they were looking for in a safe vehicle. Perhaps most importantly, NICE drivers and customer service representatives are receiving a lot of positive feedback from riders. Many have commented on the improved, “car-like” ride for a high-capacity vehicle. 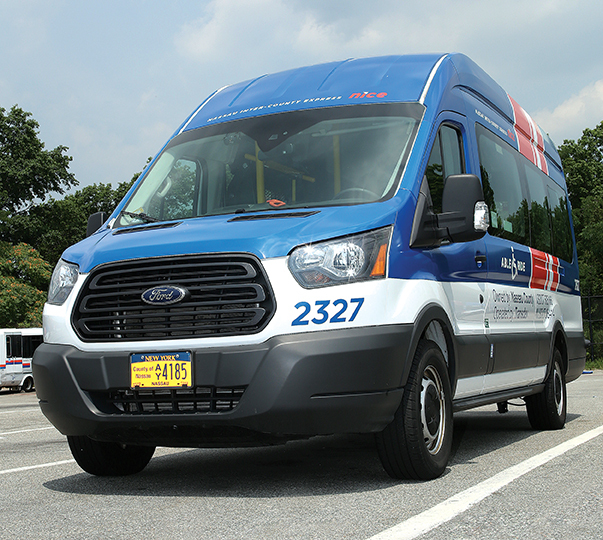 The TransitWorks team believes that it’s their vehicle’s unique safety features, combined with its ability to meet the needs of many varying applications, which separates them from their competitors. 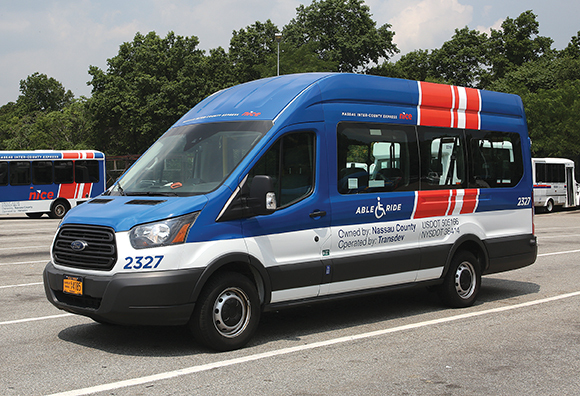 With a reliable fleet to build upon, NICE and the AbleRide service are well-equipped to continue serving their paratransit community and expanding transit options in the future – perhaps even into on-demand transportation, Khzouz says.